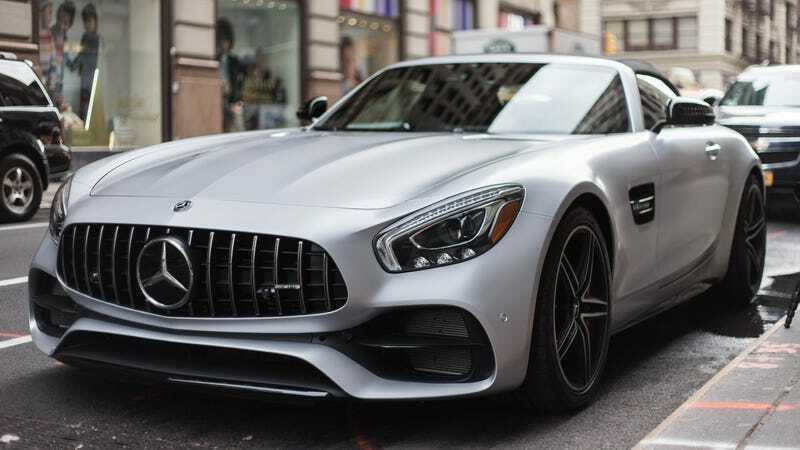 What Do You Want To Know About The 2018 Mercedes-AMG GT C Roadster? There are a lot of lovely grand tourers to choose from right now. We’re determined to drive them all and this is our latest one to test: the 2018 Mercedes-AMG GT C Roadster. What do you want to know about it? On paper, I’m very familiar with this car. It has a seven-speed dual-clutch gearbox, an 11-second roof and rear-wheel steering. The twin-turbocharged 4.0-liter V8, spitting out a dirt-nasty 550 horsepower and 502 lb-ft of torque, sounds fantastic. All in all, the tester’s sticker price comes to $176,395. I’m taking this thing down to Richmond, Virginia, for the weekend to visit a very special car that you can expect to see on this site in the coming days. I think you’ll like it, though. What will the GT C Roadster be like for a roughly 700-mile round-trip journey? I’m sacrificing my pelvis and backbone to find out. Also, I’ll be dropping by the Richmond Cars & Coffee on Saturday, Nov. 4. If you’re in the area, stop in and say hello!